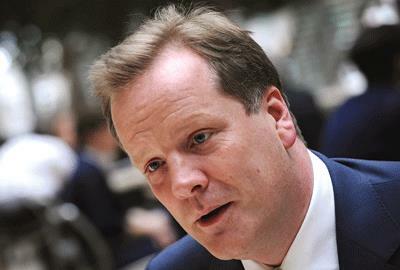 Charlie Elphicke, the Conservative MP for Dover and Deal, has accused the charity think tank IPPR of being too close to the Labour Party. Elphicke has written to the Charity Commission asking it to examine whether the charity has breached rules on political neutrality. Ed Miliband, the leader of the Labour Party, spoke in London yesterday at the launch of IPPR’s latest report, Condition of Britain, which he said contained many good suggestions. "The extent of IPPR's involvement in the Labour Party policy review, and the assistance that it continues to offer exclusively to Labour politicians, breaches this guidance. "I also believe that IPPR's work with the Labour Party is tantamount to a donation in kind – which again breaches Charity Commission guidance that ‘charities must never support political parties. They cannot make political donations or give other financial support or resources.’"
A spokeswoman for IPPR said: "IPPR is an independent think tank and registered charity. We have not been commissioned by any political party and our work is freely available to members of all parties and the wider public. Just last week we hosted an event with Conservative minister Greg Barker and earlier this year hosted Liberal Democrat minister Ed Davey." A spokeswoman for the Charity Commission said it had not yet received the letter and therefore was unable to comment.